“Everything is better than war” is a powerful statement but there are undoubtedly situations where it cannot be applied. Not resisting a menacing force which threatens annihilation, not resisting genocide, enslavement, exploitation may be worse than war. Shall Palestinians accept that they are oppressed, humiliated, chased away, jailed in Gaza, the biggest concentration camp the word has ever seen? Shall Syrians accept that invading Islamic radicals and criminals destroy their country? Shall the conscientious and ethical people of the world accept that idiots and unscrupulously crooks destroy nature and the future of mankind just for short time profits? There is no clear line between compromise, appeasement, disobedience, obstruction, self defense, war. There are no obvious and easy answers, there are not even obvious and easy questions. More brilliant and powerful voices than I have discussed this matter time and again, while war has been waged and caused unimaginable destruction, suffering, and death. But hasn’t the US empire retreated from Vietnam? Didn’t it lose Cuba, Iran, Venezuela, and a few other Latin American nations? The empire retreated from Vietnam militarily only to continue the assault in the cultural, political, economical realm. And it succeeded and conquered Vietnam culturally and economically. Todays Vietnam is sweatshop land and the Vietnamese produce cheap garments for Western consumers in slavelike conditions. This is not what President Ho Chi Minh and General Vo Nguyen Giap envisioned after they drove out the USA in 1973 and captured Saigon two years later. All other mentioned countries where the empire didn’t succeed are still in the crosshairs, are still under continuous attack. Since a few weeks I follow a subreddit forum about the Syrian war, because all the latest Twitter messages are discussed and evaluated there. I developed this habit because the Syrian war scenery is changing at an accelerating pace, opening sometimes exiting but most times disturbing and frightening perspectives. Reading mainstream media news, analyses, and opinion pieces about this war is completely useless, as everything is either uninformed and clueless gibberish or propaganda and deception. The war is still presented as a “civil war,” or a “sectarian war,” the insurgents are either “moderate rebels,” “freedom fighters,” or head chopping Islamists who the Syrian regime under “butcher Assad” created and maintained to discredit the “legitimate opposition” who longs for democracy and peace. It is inevitable that actual developments in Syria rarely confirm the fairy tale pictures painted by the practitioners of Western journalism, but as the Yugoslav wars, Iraq, Afghanistan, and Libya have shown, the majority of Western media consumers are just uncritically and unquestioning absorbing the news stream, forgetting about even the most crucial details the moment they switch off their TV, computer, or smartphone. What remains memorized, if anything, are cliches and catchphrases like “butcher Assad,” or Czar Putin. What remains are the claims of atrocities, war crimes, genocide, which don’t have to be proven but just repeated often enough to stick and raise the aversion against everyone who is singled out as an “enemy of the free world,” whatever that means. When the USA destroyed a MSF hospital in Kunduz, Afghanistan, it was a tragic mistake. Regrettable, of course, but as we all know, such stuff happens in war. This is called: collateral damage. When a MSF hospital reportedly was hit by rockets in Maaret al-Numan, Idlib, Syria, it was instantly blamed on Russia and it was not collateral damage but a heinous war crime. Even more despicable, there were another three hospitals in rebel areas hit at the same time. Russian protestations were flatly rejected — who would ever believe the evil and disingenuous Russians. When I heard about the destroyed hospitals is was saddened for a few moments, but then I thought about it and came to the conclusion that this is actually good news because reports of Syrian or Russian atrocities always come up when the Western funded insurgents are in trouble. I don’t jump to a conclusion, I don’t know enough about the hospitals, I was not there, forensic evidence collected by impartial experts doesn’t exists. It can have been a “false flag” attack to have a pretext for a more robust Western military intervention, it can have been a mistake (MSF kept the location secret), it can have been rebel positions camouflaged as hospitals. What makes the story even more confusing is the fact that there are no MSF doctors in Syria, they all pulled out a while ago. Which means that there may be hospitals which MSF supports by sending supplies, but they are not run by MSF. The Russian military makes a strong case that this is a complete fabrication. Abdulrahman Al-Hassan of the “White Helmets,” said parts of a missile that landed near the hospital had Russian letters on them and that the type of missile had not been seen in the area prior to Russia’s military intervention. 1. The “White Helmets” is a Western NGO who only operates in areas held by Islamic insurgents and who came to fame when they helped Jabhat al-Nusra manage mass executions. 2. The CIA bought and still buys large stock piles of Soviet weapons from former Soviet republics and stores them in Texas, to disperse them in conflict zones around the world. Just recently the Islamic fighters got brand new Grad rockets, more powerful and far-ranging than any other kind of artillery they used until now and Islamists in Latakia proudly showed Russian IGLA-1 MANPADS. The Gulf monarchies are also buying Soviet arms and ammunition for their favorite insurgent groups from whoever is willing to sell. I don’t jump to a conclusion, but I realize the precise timing. The reports of destroyed hospitals perfectly coincide with the biggest setback the insurgents ever suffered. Setback is an understatement in this case, as their defense lines break down everywhere and the Islamic fighters face complete annihilation. The defeat of Western backed insurgents is so profound that one hospital alone won’t do, it must be at least four. As I write down these words I realize that they are quite cynical and cold hearted. No one can rule out that innocent people died. Badly wounded patients, sick people, idealistic doctors and nurses trying to save lives and alleviate suffering. And beyond that I have to question my attitude of steadfastly supporting the Syrian and Russian war efforts. Bombing raids are evil, shelling is evil, killing people is evil no matter if they are innocent or guilty. Ethical judgements cannot be applied, because who should decide about innocence or guilt? The analyst examining drone pictures or intercepted communication, the pilot, the gunner, the detonator mechanism of the bomb or missile warhead? Even the smartest bombs are too dumb to spare innocent lives. But then again, both Russia and Syria pursued every diplomatic option, negotiated in good faith, offered compromises and showed flexibility. To no avail, they were laughed at. Only now, as their proxies wither away, some Western powers rush to find a political (face saving) solution. Without Russian bombs there would be no negotiations to end the Syrian war, there would be only dictates (Assad must go). Without Russian bombs the story would end like in Libya, where the state institutions are destroyed and everyone except Islamic militants and criminals lives in misery. Can a devastating air campaign be an act of self defense? I have to leave this question open. Good or bad, justifiable or immoral, necessary or avoidable, the Russian air campaign is effective and devastating beyond expectations. The Russians have clearly learned from their brothers in arms, the USA and NATO. In other words: USA and NATO don’t have a monopoly of cataclysmic air wars anymore, Russia can do this as well. At the start of the air campaign it didn’t look this way, the Russian analysts and pilots had to learn their trade (of killing) on the job. The same btw happened in Serbia and Libya where the NATO warriors only slowly gained their footing. I’m biased, partisan, I have an agenda like everybody else who tells, writes, publishes news, analyses, opinions. There is no neutrality or dispassion and the “fair and balanced” news media, the “objective observers,” the impartial and independent guardians of truth and honesty are charlatans, pretenders, posers, hypocrites. I sympathize with the Kurds, the PYD, YPG/YPJ, PKK. The Kurds are the most secular population in the Middle East, the only one where atheists (agnostics, pantheists, Buddhists, humanists, skeptics) like me are not only tolerated but have even significant influence. My second choice are the socialist factions of the Baath party. Bashar al-Assad is probably not a socialist but at least open minded and tolerant. He is definitely not a religious bigot. My third choice would be the Christians, the Yazidis, the Assyrians, the Alawites, and all other oppressed and persecuted minorities. A few month ago I spoke with Syrian refugees and as our conversation went on they asked me, if I’m a Christian. I said no and they asked: “What then is your religion?” When they heard that I have no religion and don’t belief in god they were shocked and the conversation instantly ended. They looked at me as if I would be an alien from outer space and it was very clear that this was completely unacceptable for them. I’m glad that I met these guys here in Europe and not in Syria. Why should I sympathize with people who would chase me away or kill me if they could? Things are changing so fast at the moment, that everything what I write down is probably already outdated when this blog post is published. Yet I can try at least to set things straight and counter some misconceptions caused by media misinformation. Western journalists at the moment seem to be as confused as their readership, resorting to worn out phrases like: Total failure of US policy, lame duck Obama, betrayal of the rebels, only boots on the ground will end the war, don’t let Putin win. I don’t read Wester media articles anymore, but I read the headlines, they are at least amusing. 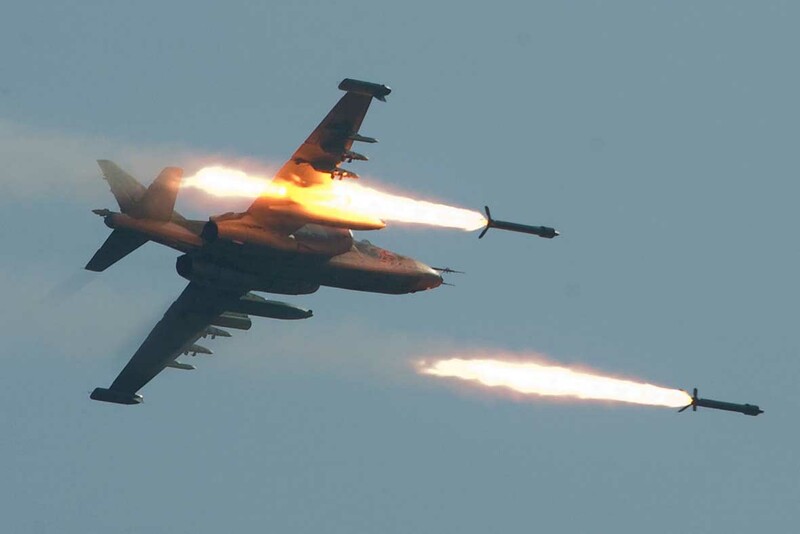 Journalists especially have difficulties to stomach the fact, that the Kurds, who so heroically defended Kobane against IS (Islamic State), and got some help from the USA in Hasakah (Jazira canton), suddenly are supported by Russian air strikes and undeniably advance in close coordination with the Aleppo offensive of the Syrian army and aligned Iranian militias. It appears that behind the scenes, Russia has brokered mutually respected zones of control between government and Kurds. The Kurds in question are from the Afrin Canton, which until now was surrounded by Turkey in the north and west and by Islamic insurgents in the east and south. 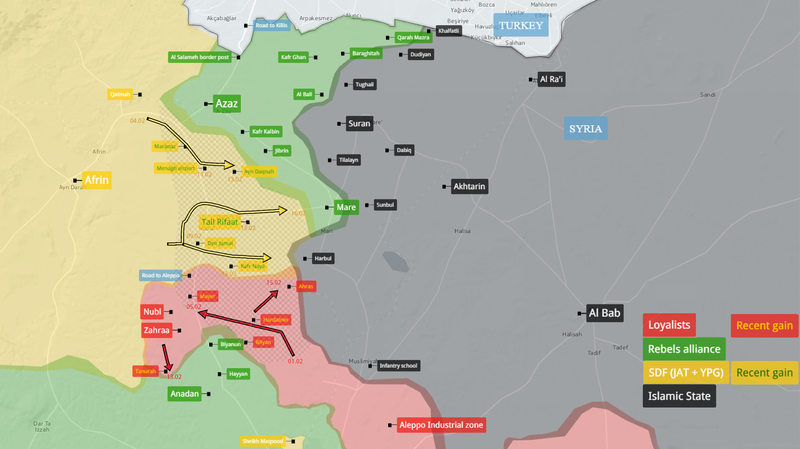 The Kurds kept a low profile and pretended to be neutral but when Syrian troops cut the Azaz to Aleppo corridor and freed the Shia enclave Nubol-Zahra they instantly attacked the jihadist area around Menagh airbase, Azaz, Tall Rifaat, Mare. 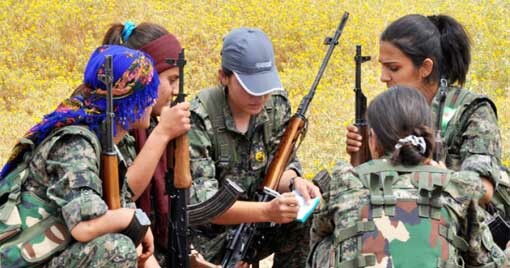 The Kurds during their feigned neutrality quietly organized, prepared, trained a functioning military force which seems to be very effective and at the same level as the YPG/YPJ units in Kobane and Jazira. This is not surprising because the Kurds know what is at stake and they have channeled all resources into the military. Afrin has a nine month conscription and a military training center. Afrin is a fortress, with serious static defense lines using terrain and machine gun positions to cover hostile low ground. So far, every Jabhat al-Nusra and Ahrar al-Sham probing attack on both the Afrin Canton and the Sheikh Maqsud neighborhood of Aleppo was repelled easily. Afrin is a fortress with an army and (currently) an air force (the Russians), and it is therefore a huge player. About half of the area between Afrin and the IS territory in the east has fallen to the Kurds, Menagh airbase and Tall Rifaat are captured. Negotiations about the surrender of Mare are ongoing, but there are reports of an IS attack against Mare, which would complicate the situation. Azaz has not fallen because the Turkish army is bombarding the surrounding with heavy artillery and has sent 2,000 additional jihadist fighters to bolster the defenses. 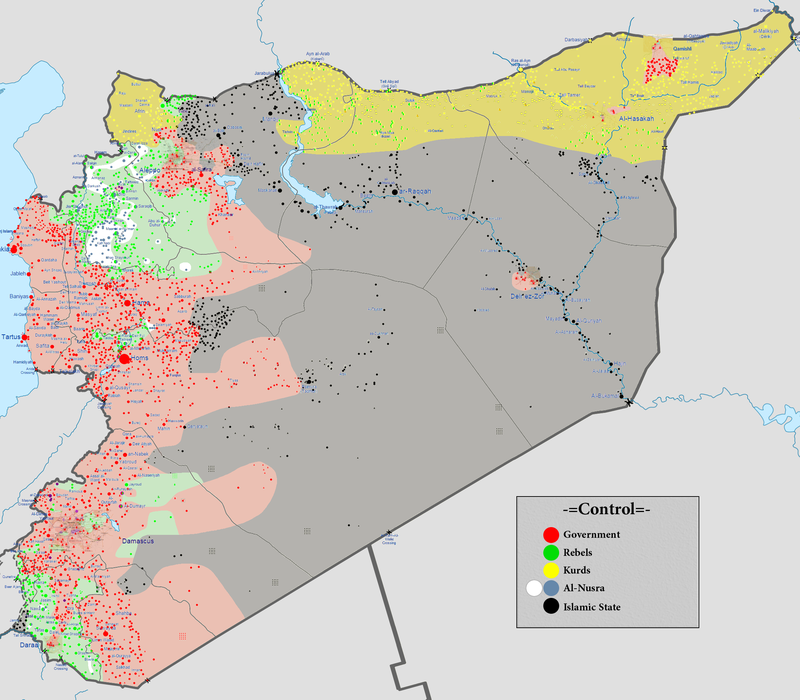 Kurds now control 14 percent of Syrian territory and three quarters of the Turkish border. Their goal is to close the gap between Afrin and Kobane, land which is held at the moment by IS. The border crossings of Jarabulus, Al-Rai, and Bab al-Salam are the lifeline for IS and the Islamists. If the Kurds were able to conquer this stretch of the border, IS would be finished and the Islamic rebels would only be left with Bab al-Hawa and some other minor crossings in Idlib. The Kurdish forces also became active in Aleppo city, closing the Castello road and advancing into the Ashrafiyah and Bani Zayd neighborhoods. The Castello road leads into the rebel section of Aleppo from the west and adjoins the Kurdish neighborhood Sheikh Maqsuod in northern Aleppo. It was the last supply line of the Islamists inside Aleppo city. Jabhat al-Nusra and Ahrar al-Sham, which have taken all other groups under their command, are at the moment shelling Sheikh Maqsuod, injuring and killing many civilians. One has to bear in mind that the Islamists are trained, equipped, transported, coordinated, supplied by Turkey, that they get free medical treatment in Turkish hospitals if wounded, that their leaders and headquarters are partly in Turkey (Gaziantep, Kilis). These islamic brigades are Turkish militias in all but name, and the incursion in the north of Syria is not a rebellion but an invasion by Turkey. This is an act of war and if international law would have any meaning Syria would have the right to retaliate. But as Turkey is a member of NATO, shielded by Article 5 of the NATO charter, international law doesn’t apply. As we all know, the USA and NATO are above the law and war criminals from the “free world,” war criminals like Recep Tayyip Erdogan, Jens Stoltenberg, David Cameron, Francois Hollande, Angela Merkel, Barack Obama, and company will never stand trial at the ICC in The Hague. At the moment it seems that Turkey is hell bent on escalating the conflict and going to war no matter what. Since four days Turkish artillery is bombarding both the Kurds at Afrin city, Menagh airbase, Tall Rifaat and the Syrian army in north Latakia, causing dozens of casualties, including women and children. 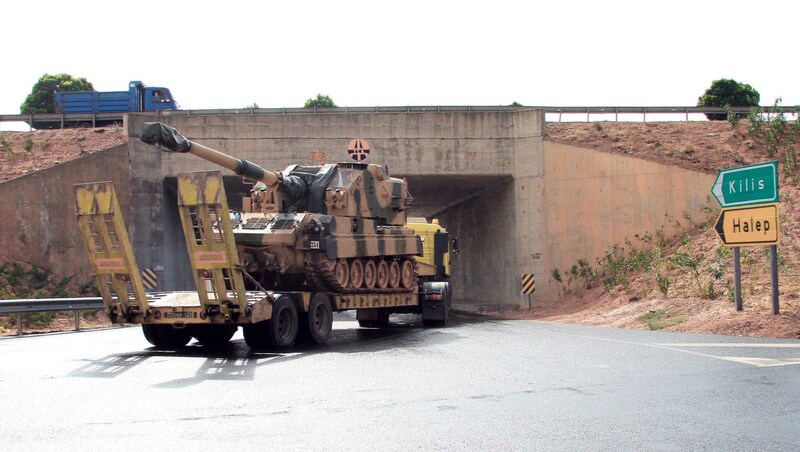 Turkey has, as mentioned above, also sent reinforcements to bolster the defenses in Azaz. Turkeys President Recep Tayyip Erdogan seems to be desperate, which makes him unpredictable and even more dangerous. Turkish warnings, demands, threats change constantly and become increasingly aggressive and frightening. Prime Minister Ahmet Davutoglu told reporters on February 14 that he had presented Turkey’s demands during a phone conversation with US Vice President Joe Biden. The Kurdish YPG needs to stay clear of the town of Azaz, evacuate adjoining areas, and pull out of Menagh air base. The Kurds must also abandon attempts to sever the corridor between Aleppo and Turkey, which Ankara says it needs to provide support to refugees (in the meantime the corridor has been cut anyway). Deputy Prime Minister Yalcin Akdogan said, that Turkey wants a secure 10 kilometer zone inside Syria from Jarabulus to Bab al-Salam, including the town of Azaz. The UN Security Council criticized Turkey for its artillery strikes and the 15 council members expressed concern about the Turkish attacks in northern Syria. 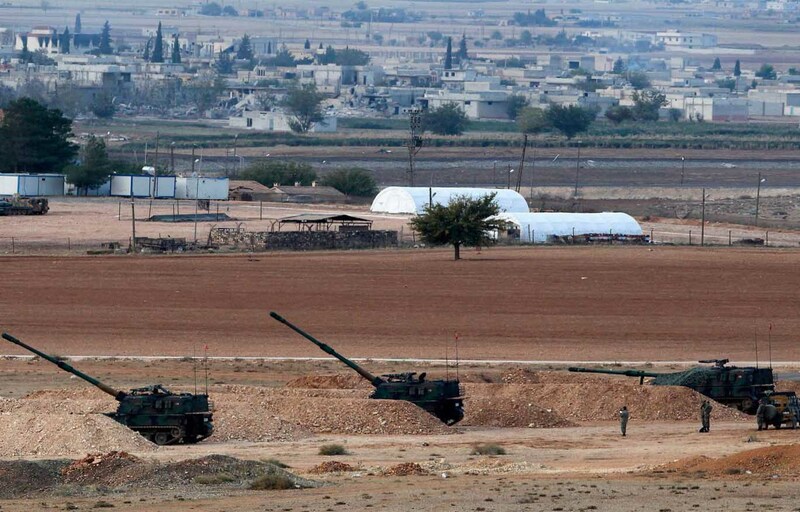 The UN urging Turkey to stop shelling makes it far more difficult for the Turks to up the ante with a ground invasion. It also makes it easier for Russia to target Turkish troops inside Syria and harder for NATO to justify backing Turkey. Usually the NATO members USA, Britain, France, who have a permanent seat at the security council would veto any official criticism of a NATO ally. That they didn’t shows how isolated Turkey has become. In response to the UNSC statement President Erdogan said in a speech broadcast live on television, that Turkey does not intend to stop shelling the Kurdish YPG militia in response to cross-border fire, and reiterated that the USA has to choose between Turkey and the Kurdish terrorists. Until now Turkey has only used a dozen T-155 Fırtına (155 millimeter howitzers) and it could increase the artillery fire a hundred times. The Turkish military has 30 million artillery/mortar/rocket rounds at its disposal and could devastate the whole Kurdish region alone with artillery. Keeping the corridor to IS and other Islamic fanatics open is not only a matter of regional power politics, but also a matter of Turkey’s internal security. One cannot give safe harbor and support to tens of thousands of jihadists and criminals without those jihadists and criminals setting up organizations inside the host country. Where will these people go when they are driven out of Syria? Many of them will remain in Turkey and wreak havoc there, because causing havoc is their destiny and their whole lives purpose. Will Turkey be the next Syria? There is already civil war in the Kurdish region (Diyarbakir, Cizre, Silopi, Nusaybin) and there are frequent bomb attacks, the most recent in Ankara killing 20 soldiers and 8 civilians. Turkish officials instantly accused the Kurds, but this can well be planted evidence to get a pretext for military escalation. 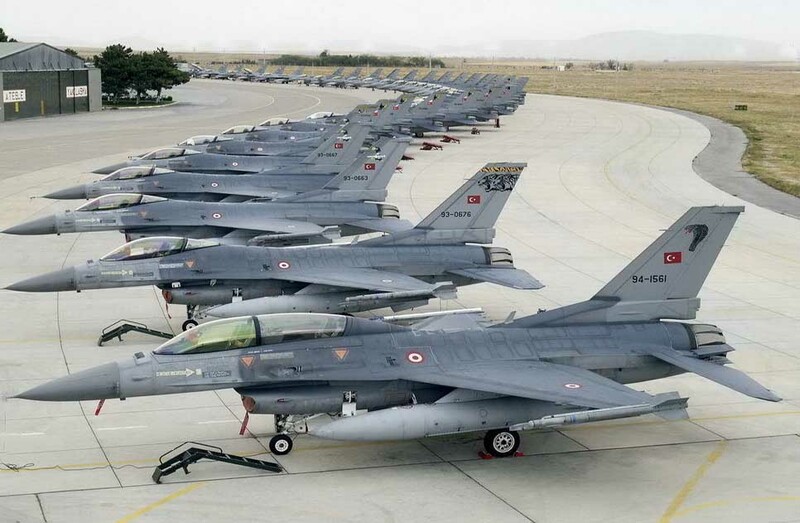 Turkish airstrikes against Kurds and occasional incursions by regular Turkish troops are reported but not confirmed yet. Saudi Arabia has announced to move F-15 jets to Incirlic air base, Turkey and Saudi Arabia have established a joint operation room, The military exercise “North Thunder” has started, including some 150,000 troops from Saudi Arabia and other Islamic countries. It is hinted to be a preparation for invading Syria. All this could be blustering, could a bluff to get Russia to accept a political settlement less favorable to Russian, Iranian, and Syrian interests. However, the Russian government cannot ignore the possibility that this is meant for real. If a US/Turkish/Saudi force were to arrive first in Raqqa and Deir Ezzor, Syria would be dismembered — it would mean the partition of Syria at best, and global nuclear war at worst. The Russians could get there first by dropping in paratroopers. Russia has clearly stated, that if ground troops from any nation enter Syria without Damascus’ permission, it will be a declaration of war. Russia’s Southern Military District has launched tactical flight drills involving more than 40 aircraft stationed in south Russia. The possibility of a war with Turkey is, as written here in earlier blog posts, taken seriously. There are rumors that Russia has noticed Erdogan about Moscow’s preparedness to use tactical nuclear weapons if necessary to save Russian troops in the face of a Turkish-Saudi invasion. Spanish Patriot missiles are still inside Turkey, while Germany and the US withdrew their batteries late last year. There are 84 B61 nuclear bombs at Incirlic, just to mention. 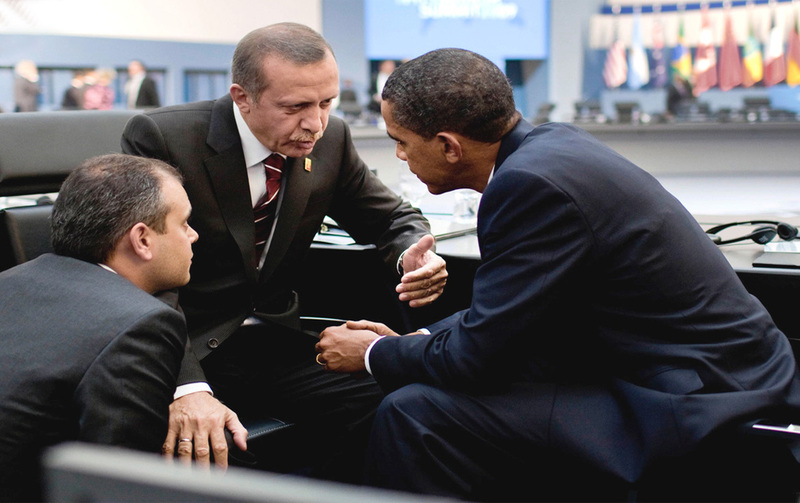 Could it really be that an overbearing and pretentious autocrat like Erdogan can start World War III? Is appeasing his inflated ego more important than thousands of lives? Nothing stops global warming as effective as nuclear winter. Where are all the “moderates” gone? Around Damascus and Homs, the regime has bombed or starved many opposition groups into local truces or outright surrender, freeing up troops to help in more important areas. Syrian forces have taken control over the entire area between the cities of Moadamiyet al-Sham and Daraya in Rif Dimashq governorate and are preparing to storm Daraya. President Bashar al-Assad has just offered general amnesty for 30 days to all military personnel that has been fighting against the government! Many exhausted and demoralized fighters will be tempted by this offer and the commanders of the various brigades will have to pay even more attention to make sure that their men don’t desert. Not only that, some insurgent groups have lost their leadership to Jabhat al-Nusra or IS, other commanders have been killed in air strikes on headquarters and command posts, the leaderless foot soldiers will gladly take the chance of this retreat route to civil society. Even US President Obama not long ago called the idea of “moderate” Syrian rebels a fantasy, but the West still maintains the fiction of a moderate, secular, or legitimate opposition. Kerry’s language suggests that those other “legitimate opposition groups” are not part of Jabhat al-Nusra’s or Ahrar al-Sham’s military structure and are separate from it both organizationally and physically. But in fact, there is no such separation in either of the crucial provinces of Idlib and Aleppo. SAA has just stormed Kinsabba, the last key town in north Latakia which remained in insurgent hands. The jihadists “1st Coastal Division” (trained and funded by Qatar) seems to have retreated to Turkey. The gains by the SAA (Syrian Arab Army) in Latakia have involved comparatively few ground troops. The SAA instead relied heavily on sheer firepower to blast the Islamists out of their positions. Airstrikes, artillery, and the formidable TOS-1 Burantino Thermobaric weapons system have led to many government successes, including the retaking of Rabia and Salma. The gains were also due to the insurgents lack of strategic reserves, who could have been sent as reinforcements to contested areas. IS detonated the strategic QaraQuzak bridge across the Euphrates, but there are reports that the bridge is repairable and could be used by Kurdish forces from Kobane, making an attack on Manbij easier. SAA Tiger forces drove out IS from the (now defunct) Aleppo thermal power plant and are sweeping the plant from booby trapps, land mines, IEDs. The eastern Aleppo pocket of IS seems to be slowly disappearing. Reconnaissance is kay, and Russia just deployed its most advanced spy plane, a TU-214R, to Syria. The airplane is equipped with all-weather radar systems and electro optical sensors that produce photo-like imagery of large areas. In addition it can intercept most electronic signals (radars, military communication, mobile phones). This aircraft is very new and is probably sent to Syria to test it in a real war scenario. The plane could possibly also act as a beacon for the Krasukha 4 electronic warfare system. Early in the war both sides lost tremendous amounts of manpower and resources because of horrible military tactics and disorganization, poor officer command, and wholesale desertions. As the war dragged on, the SAA and NDF (National Defense Forces) lost soldiers to the point where the forces no longer could hold the defense lines and had to retreat. The insurgents lost people and material too, but a steady flow of jihadists from around the world and generous funding by the Gulf monarchies replenished the losses easily. 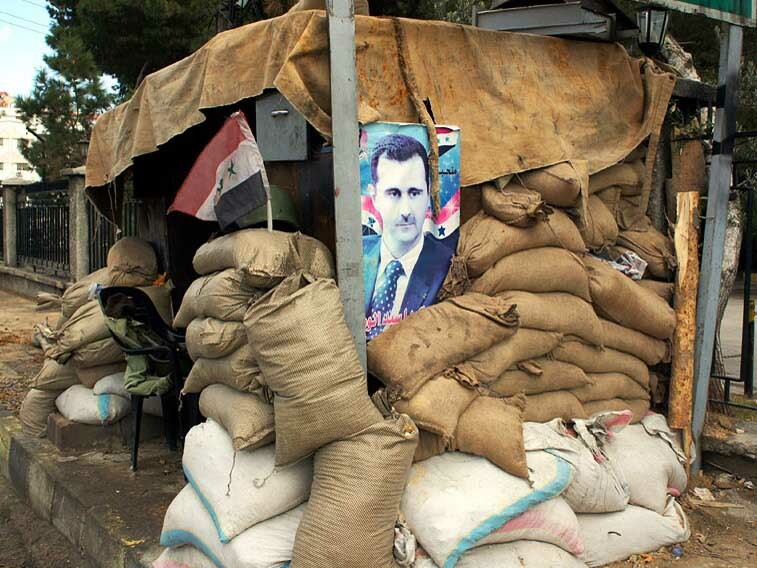 The Syrian army was also hampered by incompetence, cronyism, corruption. Though all these shortcomings were addressed to some extent, only the arrival of capable Russian and Iranian advisors, a Russian command center, and the Russian air campaign turned things around. Russian Military Strategy has led to the depletion of the Islamists strategic reserve through pivoting the lines and axis of advances, and shaping operations have lured them into fights where superior Russian firepower could be applied. As a result, the insurgents have lost huge amounts of troops and material, facing defeat on many fronts. They have been drawn out of major metropolitan areas and are forced to fight on SAA’s terms. Aleppo as a battle ground is a nightmare, and to take it by storm would require resources and manpower the SAA and allied militias cannot muster. So rather than take the city by siege, the SAA lures the insurgents out of the city to fight in surrounding areas which are vital for supplies and tactical advantage. This is called Maskirovka, the Russian military doctrine of deception, it is also known as strategic pivoting. Maskirovka means unexpected maneuvers all the time, making probing attacks in various locations or feigning to amass forces to deceive the enemy and make it appear that an attack is imminent. If the enemy commits reserves to that location, manpower is removed from the truly intended attack point. This can be done on a tactical level, or in a larger theater even at a strategic level. If done correctly it successfully thins out enemy defenses and it has the added bonus of exposing enemy troop movements to air strikes as units travel from one location to the other. Consequently applied, one can even thin out enemy lines to the point where they are unable to defend anywhere effectively, giving the attacker complete flexibility of where to strike while making things extremely frustrating for the defenders. One could also view it as judo on a military strategic level. Which brings us back to “sly and devious Putin,” or to the eternal wisdom that intellect trumps muscle strength any time. I would rather like to write about “love, peace, and happiness,” than about warfare and military tactics. 260,000 Syrians have died, even more wounded with lasting effects, at least two million children are without education, their future is stolen from them. The infrastructure and most production facilities are in ruins, invaluable historical artifacts destroyed, the forests and fields have been torched, the soil and the wells poisoned. Will Syrian society ever overcome this experience? Will anybody learn anything from this war? Will the empire finally collapse?